please send us an e-mail message. It is easy to identify every authorized visitor or attendee. A Valid name badge for EVERY visitor helps insure security. 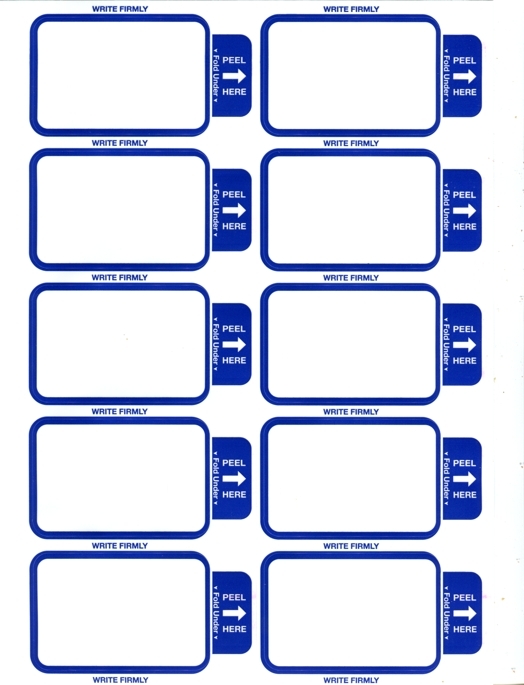 Since the Secure Guard ™ Self Expiring Badge Labels are "BLANK"
a Trade Show ATTENDEE BADGE or a Self Expiring ADMISSION TICKET. 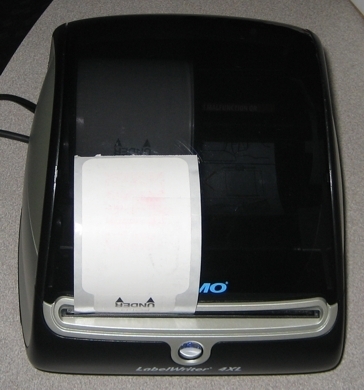 Print Self Expiring Name Badges with your Thermal Printer. There are NO controversial chemicals, in particular Bisphenol-A commonly abbreviated BPA, in Micro Format Thermal Name Badge Rolls or in any Micro Format Secure GuardTM Thermal Paper Products. All Secure GuardTM substraits comply with CONEG and RoHS safety standards for heavy metals and hazardous substances. 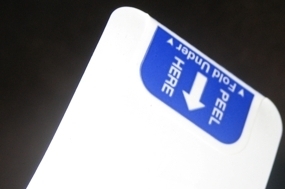 Badge Size: 4" x 2"
To Activate, fold tab back onto adhesive badge.